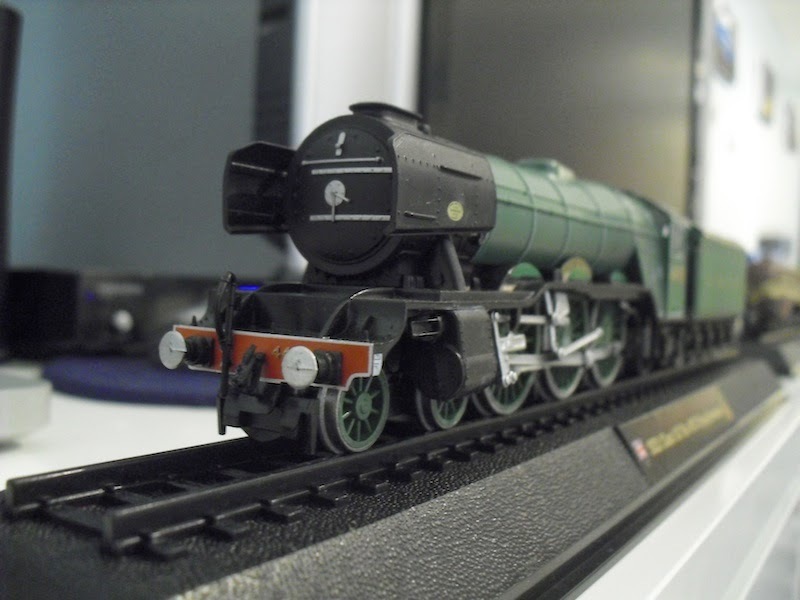 THE BRITISH RAILWAY STORIES LTD: "Some Great British Locomotive modelling"
So part 3 of "Great British Locomotives" part work is this rather nice model of 4472 Flying Scotsman. 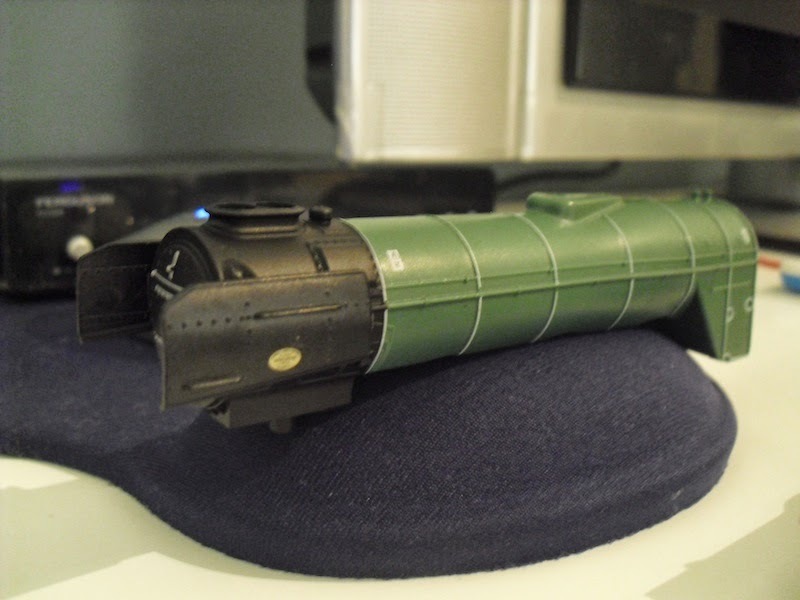 It's been clearly based on the Hornby model, and the super detail model at that, albeit with simplified detailing. So, is it any good? Yes and no. 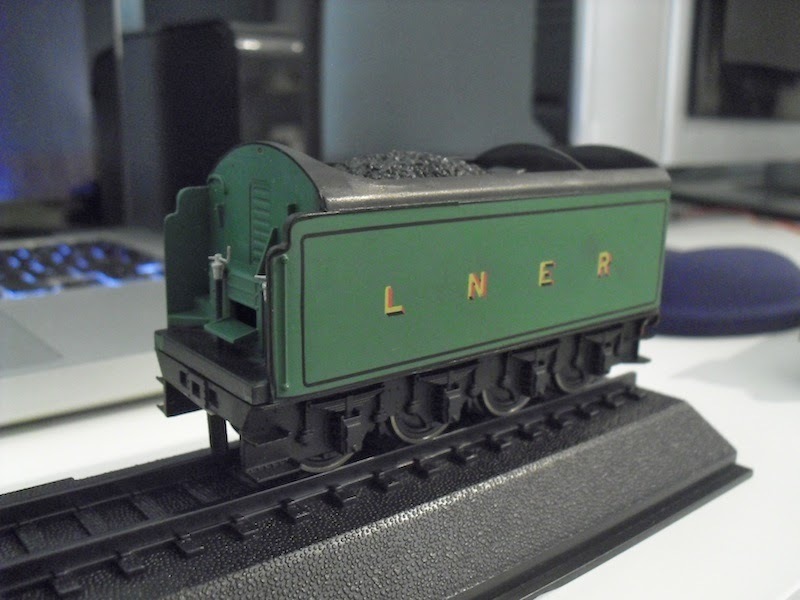 The tender body is a direct copy of the super detail one, albeit unlike the Mallard tender a few weeks back, with moulded handrails. 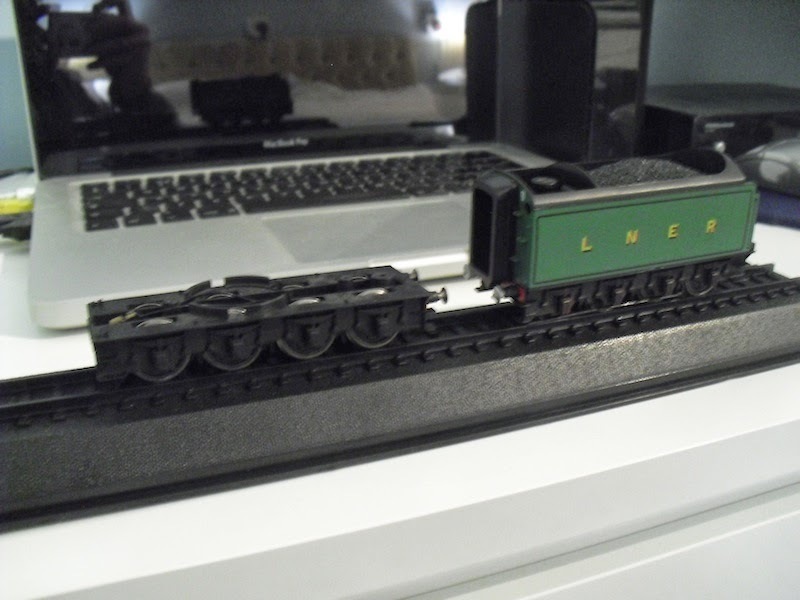 The tender body comes off with two screws underneath and fits perfectly onto an appropriate and standard Hornby tender chassis. You can tell this is a proper tender chassis by the lack of red lining and the superior wheel sets! 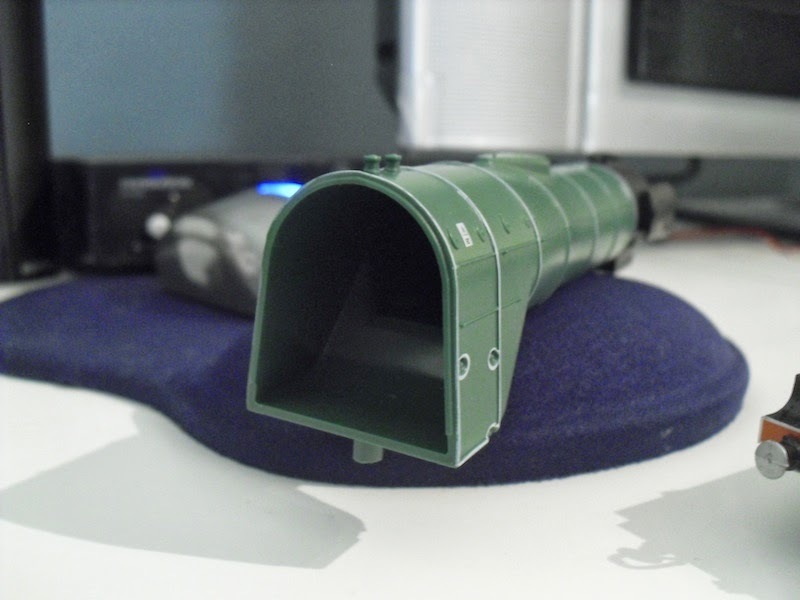 …not without chopping a heck of a lot of plastic away, and I mean a lot. The boiler is however hollow. 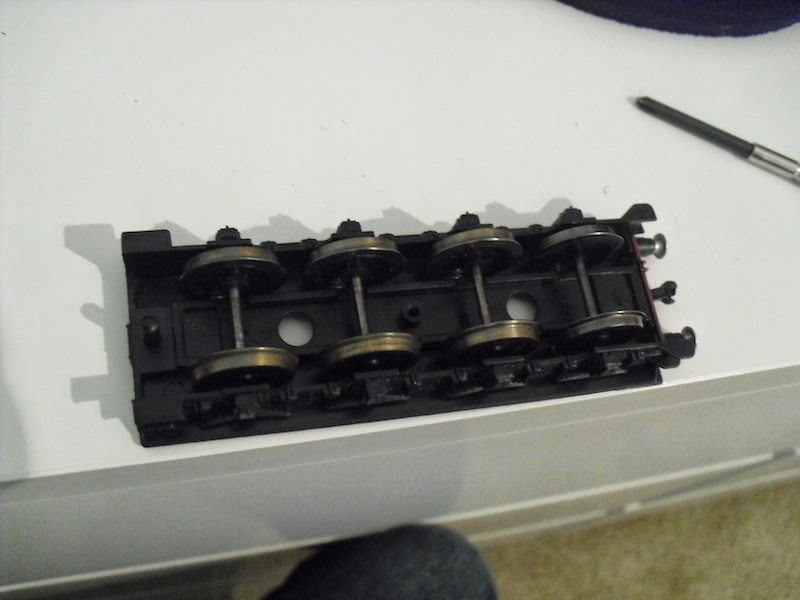 The running plate is much the same, tragically moulded in such a way as to make fitting a Hornby chassis nigh on impossible without major surgery. However the cab - which has an epic about of glazing, correctly turned in side sheets, and the high cut out to the cab suitable for late 1930s Pacifics and post war (and preservation) 4472, is an entirely separate item. 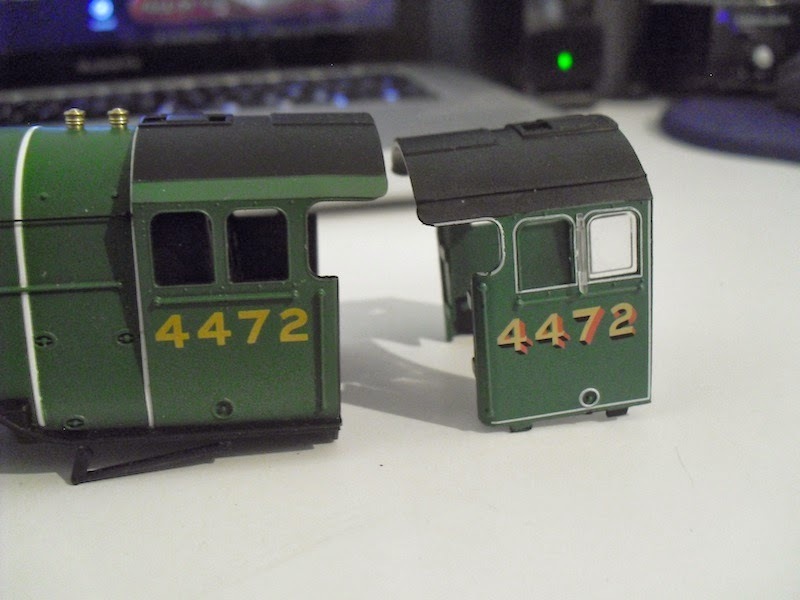 This comparison shows the tender on its own frames and next to the spare Hornby tender frames I own (note they are correct for a corridor tender, with the right steps present). The GBL tender frames, however, are surprisingly good copies in their own right. 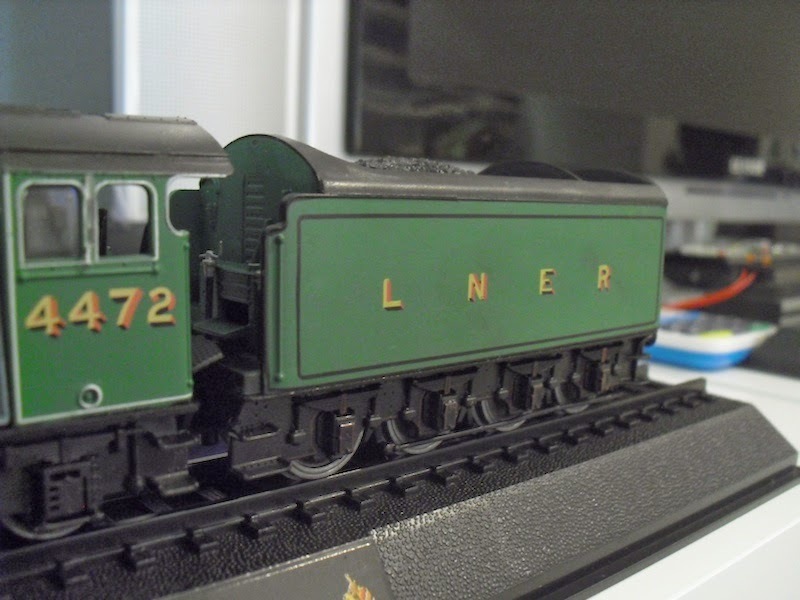 I have been pondering - given how the tender body simply screws down onto the frames through two screws on the excellent bottom plate, of adding axle boxes in some form along with Hornby wheel sets as above, to save on buying spare tender frames. 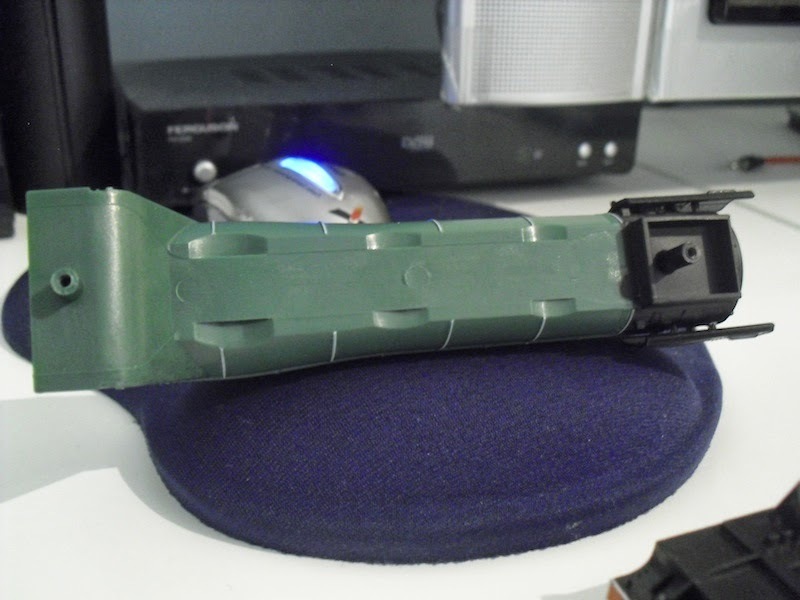 They are nicely moulded and it wouldn't take much modification to make them proper runners, I think. The body shell on the left is the Railroad 4472, the latest in a long line of modifications I have made towards my Pacific fleet. 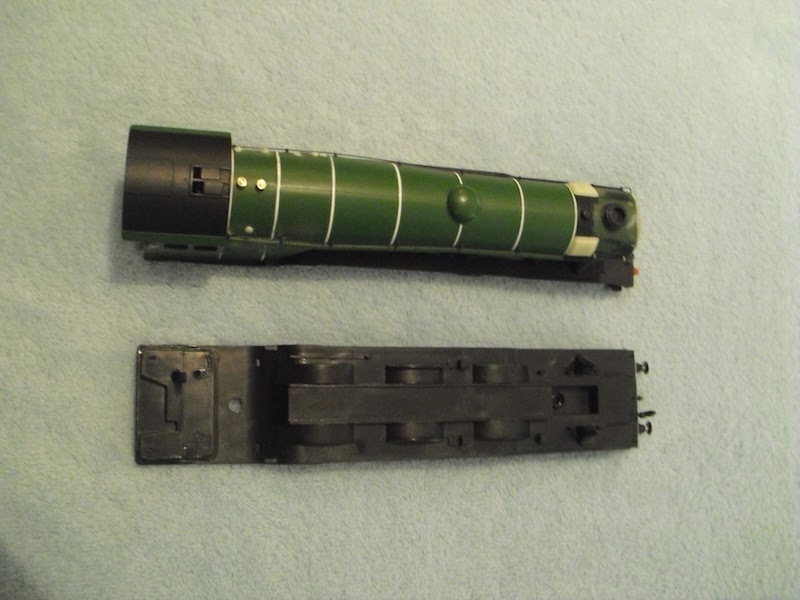 The GBL running plate compared to the Railroad model. 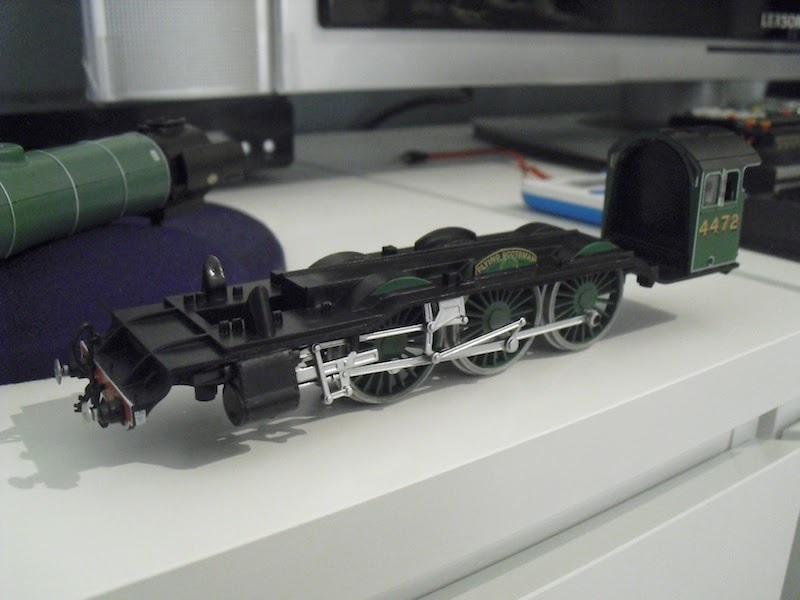 And finally, the Railroad Scotsman cab compared to the GBL cab. No contest frankly, the GBL cab is superb. 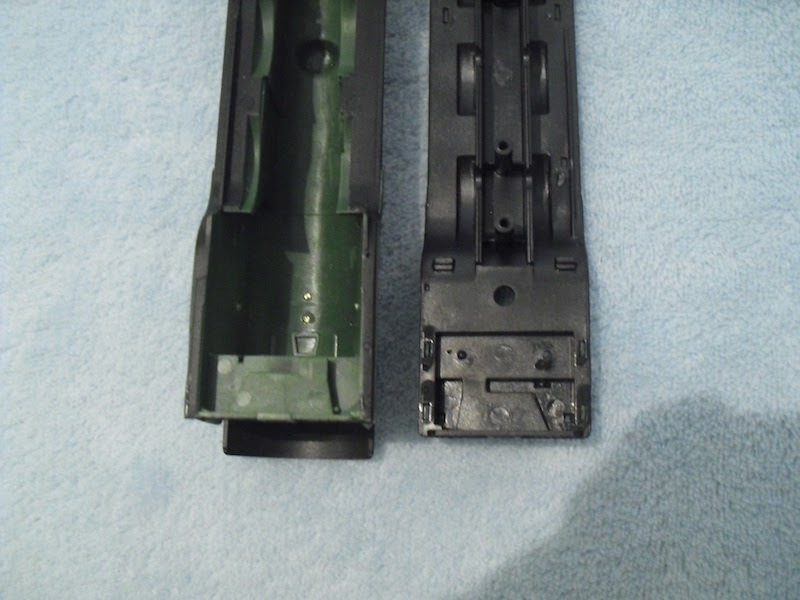 The glazing comes away easily and is very nicely moulded. 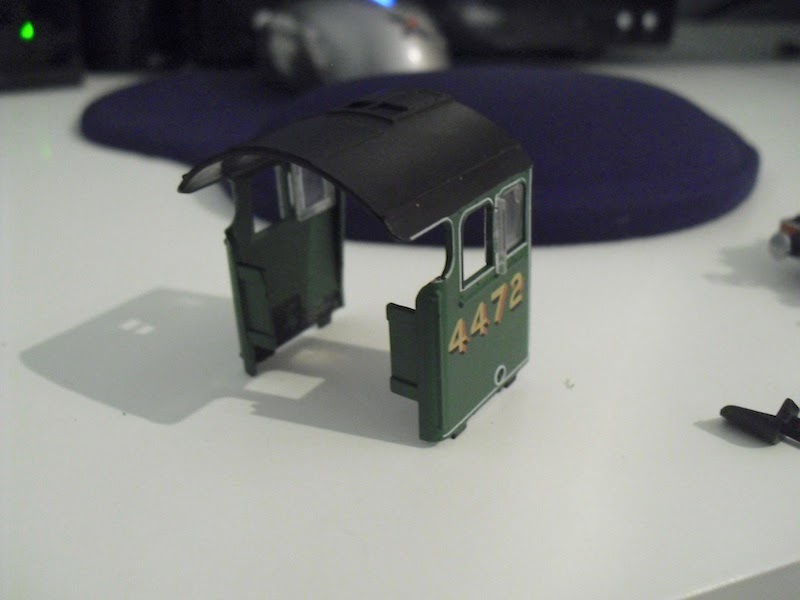 Removing the handrails and adding new ones, and repainting will produce an almost identical cab to the super detail Hornby model. So, is it worth £8.99? Verdict's out on this one. I do think the cab and tender are worth getting as spare parts but I do wish it had been designed differently in terms of the running plate and boiler arrangement. It does make one think that had this artwork been thought through a bit more, static display models and easily motorised scale models could have been achieved.